With all things going digital, it’s little wonder that culture and the arts, one of the more creative and imaginative aspects of our lives, is going tech too. OlaBola The Musical has recently showcase one such example through the use of technologies such as 3D projection mapping, 360-degree surround sound and advanced lighting. This exemplary staging technology is set to elevate the experience of the audience as the musical’s cast and ensemble deliver a dynamic performance. “Today, we would like to recognise and acknowledge the participation of our digital partner, Celcom Axiata in OlaBola The Musical. Because of this partnership, we are able to employ the latest in digital technology in our show. The creative landscape is changing every day, and has impacted the way content is created and presented to our consumers, who are ultimately our audiences,” said Tiara Jacquelina, award-winning actress, producer and Chief Dream-maker of the Enfiniti Group and now director of OlaBola The Musical. According to Jacquelina, this form of digital technology is opening up new worlds in scenic design. She believes that even as creators and avid consumers of digital technology, Enfiniti is committed to continuously taking performing arts and entertainment to new levels with every new production. Enfiniti also announced Celcom Axiata, Malaysia’s premier and most experienced mobile telecommunications company, as the official digital partner of OlaBola The Musical. “This story quintessentially portrays our nation and perfectly encapsulates our drive, determination and diversity in reaching a common goal… It is amazing to see an entertainment powerhouse such as Enfiniti who see the benefits of utilising state-of-the-art technology to provide a more immersive experience for the theatre audience,” said Azwan Khan Osman Khan, Deputy Chief Executive Officer, Business Operations of Celcom Axiata. Enfiniti has always been leaders in utilising the latest staging technology in musical theatre productions, ever since Puteri Gunung Ledang created the musical theatre phenomenon in Malaysia in 2006. In 2015, when they did a tour of P.Ramlee The Musical, projected visuals replaced the need for big, heavy sets, and created a whole new heightened re-experiencing of the award-winning show. Puteri Gunung Ledang In Concert raised the bar for local shows yet again, providing audiences at Istana Budaya with a multimedia treat. The Visual Content design was created with a team of top professionals in the technical field, alongside the first workshops Enfiniti had in May last year. The talented team consists of Danny Hoo (Insight Visuals) – Visual Effects Producer, Elan Hasyim – Visual Content Designer, Zaki Mustapa (Cantuman Wawasan) – Visual Display Consultant and Raja Malek – Production Set Designer. Danny Hoo, Visual Effects Producer of OlaBola The Musical, is a long-time ally and friend of Tiara having worked with Enfiniti on various projects over the past 12 years. He is known to have first introduced projected visuals in the second season of Puteri Gunung Ledang The Musical. “OlaBola The Musical is the first musical theatre production to use technology of such sophistication. Enfiniti has invested in 13 high-end projectors that have various lumens (brightness) and four massive projection screens measuring between 12 meters to 15 meters in size to enhance the entire experience. We have also used some of the most powerful media servers by D3 Technologies and high-quality visual effects to digitally devise the different sceneries from the Kopitiam to Stadium Merdeka,” said Hoo. 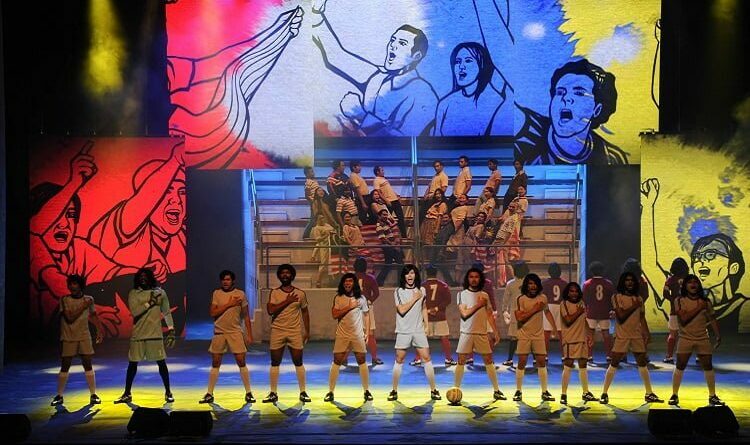 Tickets for OlaBola The Musical are priced from RM50 – RM350 and are available for purchase on the website. Celcom customers are entitled to purchase all categories of tickets at a discount of 20%. This discount is applicable to the first 500 tickets purchased. This promotion will be on a first-come-first-served basis. 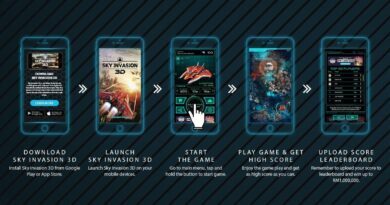 Celcom Game Hero tournament offers RM1m prize pool!